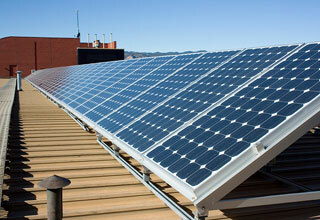 There are many different ways in which Solar PV panels can be mounted onto a roof or the ground. The most appropriate type will be determined once a full site survey has been undertaken. Using various different attachments designed for the type of roof covering, e.g. tiles or slate, a mounting rail system is attached to the main structure of the roof and the PV panels are attached to the rails. This is a flexible arrangement allowing most configurations and sizes of PV panels to be attached to all common roof types. For trapezoidal roofs additional mounting arrangements are available that do not require the use of a rail system. Following a site survey, we will design a suitable system including the attachment and ensure that the roof structure is strong enough to take the required weight. 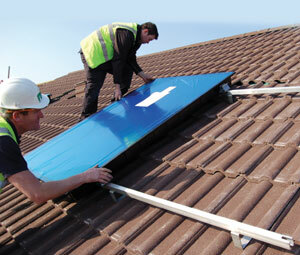 There is also the option if installing the solar panels within the roof structure. This system is generally more expensive then the on roof mounting, however can be visually more attractive. 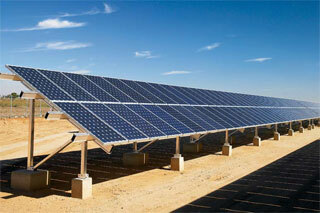 The solar panels can come in tile effect or semi-flush panels. 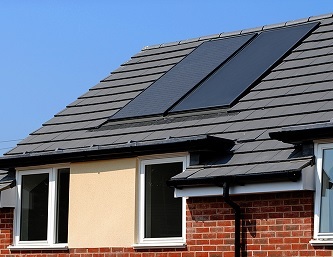 Should your property have a flat roof, we can install a mounting system that elevates the panels to the correct angle, ensuring that you get the maximum amount of output from your installation. This is suitable for domestic and commercial applications. For larger installations (eg fields), or installations where there is suitable ground space, solar panels can be mounted on the ground.